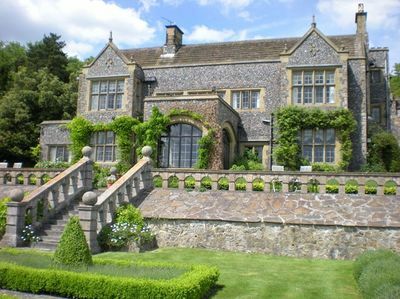 Located three miles from Maidstone in an area of outstanding natural beauty on the ancient Pilgrims Way with its Chaucerian associations, the house sits just below the site of Thurnham Castle and the crest of the North Downs. This beautiful Edwardian country house, surrounded by seven acres of gardens, enjoys stunning views out over the Kent countryside and the Weald. The rooms are light, airy, comfortable and equipped with all the most modern and luxurious conveniences.